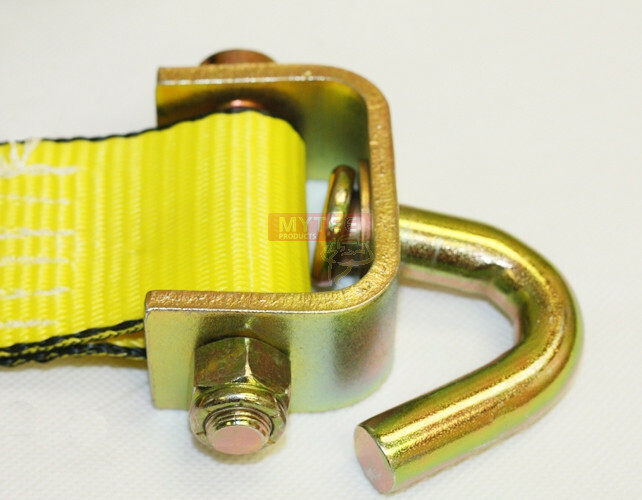 This car hauler wheel strap comes with two swivel J hooks to allow for easy attachment. 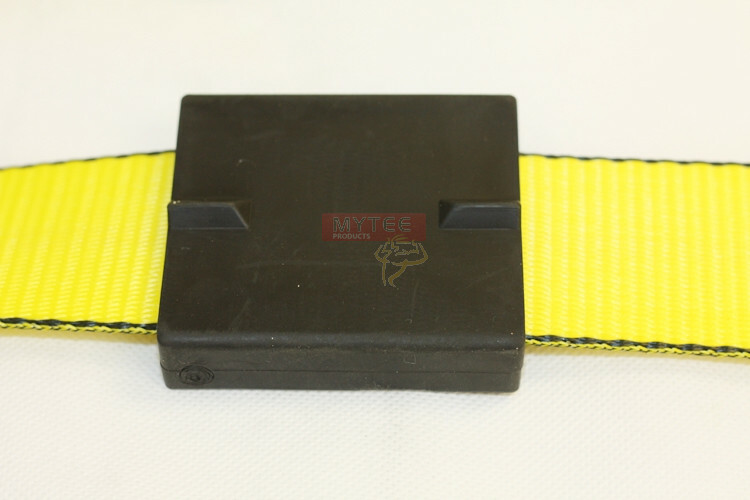 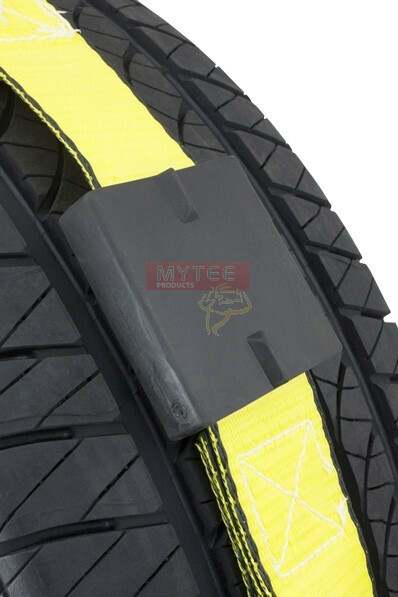 The three sliding rubber blocks on wheel strap are for proper placement and contain knobs that fit into the rain grooves of your tire. 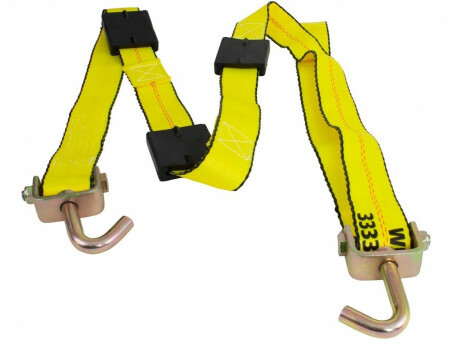 The auto carrier tire straps are made with 2" heavy duty polyester webbing for maximum strength. 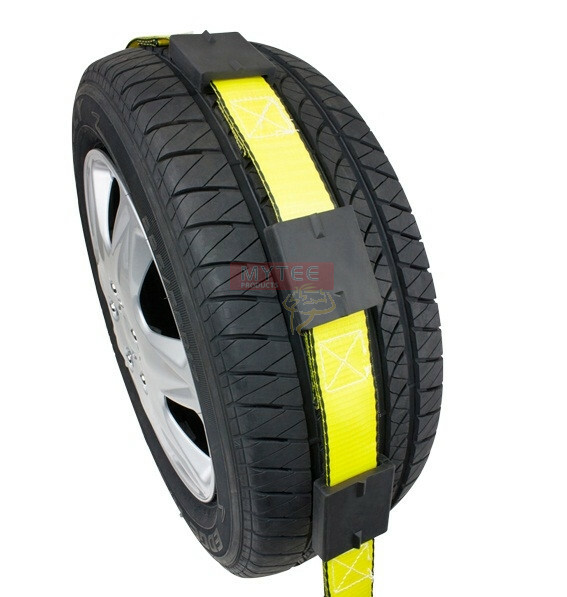 For safety purpose, it is recommended to tie down all four tires when hauling your vehicle.